Increase self-knowledge, acceptance and love through advanced studies in Embodied-Inquiry™, asana, pranayama, meditation and philosophy. Our Embodyoga® programs are well-rounded, in-depth studies of yoga with an emphasis on deepening personal embodiment as the basis for developing depth and power as a teacher. Learn to teach the Embodied-Inquiry™ practices of Embodyoga® and share the depth of this experience with your students. The tools that you will learn enhance all styles and levels of practice—beginning to advanced, and gentle through vigorous. This program builds on the foundation of the 200-Hour Teacher Training Program, providing an additional 300 hours of study. The Certificate Program is open to yoga teachers with a 200-Hour Certificate from any Nationally Registered Yoga School. This is a highly rewarding study for serious yoga practitioners and teachers alike. Serious yoga students are invited to attend individual modules of this training for the purposes of advanced study. Completion of both 200-Hour and 300-Hour Programs qualifies you for a 500-Hour Teaching Certificate with the National Yoga Alliance. Our Embodyoga® program is divided into four distinct Modules. Each module has its own focus. Yoga philosophy is woven into the fabric of the program. You may attend any of Modules 1–3 individually, and in any order. With permission, you may attend Module 4 before you have completed all of Modules 1–3. Define and clarify the principles for healthy support and movement of muscles, bones, fascia, connective tissues, ligaments, and joints. Create ease and integrate the forces of movement and support throughout your whole-body. Harmonious whole-body movement encourages us to drop our “fragmentary-sense-of-self” and invites us into the experience of wholeness that is the state of yoga. Learn to feel your organs and glands. Discover how to initiate movement from them. Recognize the expression of organ and glandular support and intelligence in yourself and others. Learn to facilitate healing through these systems utilizing touch, asana, pranayama and meditation. Yoga is a developmental process of growth toward the living recognition of Unity. We are whole, we begin whole, and we end whole. In this module we explore the developmental movement patterns that support our experience of wholeness and connection to Source. These creative patterns of life-force moving into form take us through the range of experience, from our deepest, primal, and fluid-body selves, through our embryology, and into the first year of life as we learn to creep, crawl, walk, and move through the world. We learn to integrate the embodiment of these developmental patterns into our asana practice, gaining a deeper understanding of our human evolution and the yoga form. Sat-chit-ananda is the nature of who we are: truth, consciousness, and bliss—manifesting into love, function, and form. In this module we continue to open the doors to the ever deepening experience of Self as we focus directly on transmitting yoga through teaching. We define and clarify the principles for healthy support and movement, to create ease and integration throughout the entire body-mind-spirit. Truly harmonious movement encourages us to drop our “fragmentary-sense-of-self” and invites us into the experience of wholeness that is the state of yoga. 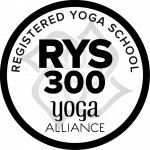 Our 300-hour Embodyoga® teacher training program is registered with the National Yoga Alliance. It is recommended that you take this program in its entirety. However, with permission, modules may be taken independently.